The 17 different World Rally Champions were inducted into the FIA Hall of Fame at a star-studded ceremony hosted in the Automobile Club de France. Nine of the 17 Champions were joined by the families of four other title winners at the ceremony hosted to honour the exceptional careers of the world’s greatest rally drivers. Petter Solberg was one of the drivers inducted into the FIA’s Hall Of Fame. The Hall of Fame ceremony first inducted the drivers holding one world title, starting with the late Björn Waldegård who became the first World Rally Champion in 1979, and who was represented by his son Mathias. Ari Vatanen, Hannu Mikkola, represented by his son Juha, Stig Blomqvist, Timo Salonen, Didier Auriol and Petter Solberg were all recognised for their achievements and, for those in attendance, were joined by Jimmy McRae, father of Colin McRae, and Jo Burns, sister of Richard Burns, who won the title in 1995 and 2001 respectively and were also inducted posthumously along with Waldegård. The double title winners were then celebrated with Walter Röhrl, ‘Miki’ Biasion, Carlos Sainz and Marcus Grönholm taking centre stage. 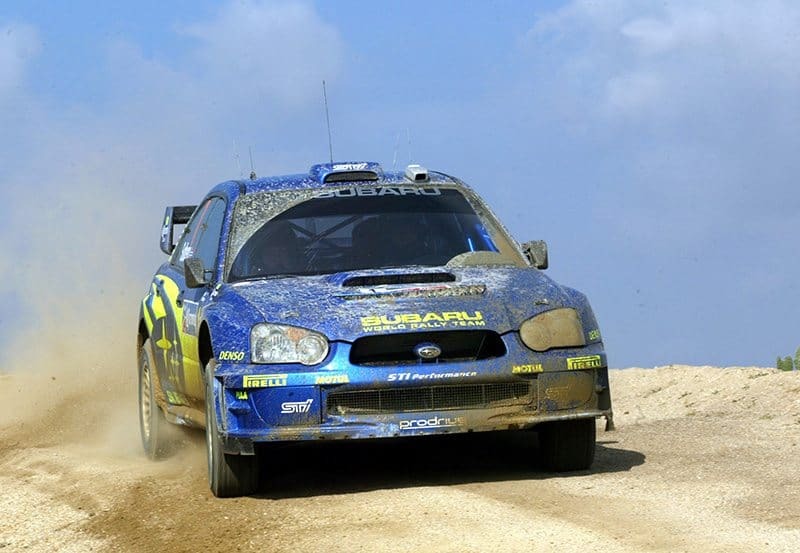 Petter Solberg was World Rally Champion in 2003 with Subaru – the last non-Sebastien to win the WRC title. An impressive four world titles are held by both Juha Kankkunen and Tommi Mäkinen. Kankkunen is the only driver to have won the title with three different manufacturers while Mäkinen is now at the helm of Toyota Gazoo Racing’s WRC team and led the Japanese marque to its first World Rally Championship for Manufacturers’ title last year in only its second year back in the series after a 17-year absence. Sébastien Ogier, winner of last weekend’s Rallye Monte-Carlo for the sixth consecutive time, holds six titles and, back with Citroën this season, is now bidding to equal Kankkunen’s record having won with both Volkswagen and M-Sport Ford. The FIA’s most successful driver in any of its World Championships then took the stage. Sébastien Loeb, who has claimed an unprecedented nine consecutive titles, is a legend in the sport. After being coaxed back to compete in three events last year having been out of full time rally competition since 2013, the Frenchman has moved teams for the first time in his career and will contest six rounds of this year’s championship. Stunning championship-winning cars from different eras of the FIA World Rally Championship also provided an exceptional display for the evening outside the neighbouring headquarters of the FIA and ACF in Paris . These Alpine Renault, Lancia, Peugeot, Toyota, Citroën and Volkswagen machines have collectively amassed a number of the manufacturer titles since it was first introduced in 1973. The FIA Hall of Fame gallery is located at the FIA Headquarters in both Paris and Geneva. Also, a dedicated website celebrates the exceptional careers of the 33 Formula One World Champions who were the inaugural inductees in 2017 and now the 17 World Rally Champions.